Do you need to Apostille your FBI Background Check for use in France? One Day Apostille . provides expedited France Apostille Service for FBI Background Check from the US Department of State in Washington DC. One Day Apostille, will get the Apostille for your FBI Background Check from the US Department of State in Washington DC. Not sure if your document is ready for an apostille or not? No problem, We will check your document for verification before you send it to us. One Day Apostille process all types of documents issued in the U.S United States and destined for use in any country. If you did not find your document here, please contact us at: [email protected] to review your request free of charge. Our prices does not include the shipping fees. clients must enclose a prepaid airway bill to return your documents, otherwise, it will be returned via United State Postal Services. If you need to return your document to an international address, please include an international airway bill with your request. Do you need to Get your FBI Background Check Apostille Nevada ? One Day Apostille . provides expedited Nevada Apostille Service for FBI Background Check from the US Department of State in Washington DC. One Day Apostille , will get your FBI Background Check Apostille Nevada from the US Department of State in Washington DC. Some documents may need to be notarized before it can be apostilled from the Secretary of State. Some countries require different type of authentication”embassy legalization”, click here for a list of the Non_hague legalization countries. Do you need to Get your FBI Background Check Apostille Alaska ? One Day Apostille . provides expedited Alaska Apostille Service for FBI Background Check from the US Department of State in Washington DC. One Day Apostille , will get your FBI Background Check Apostille Alaska from the US Department of State in Washington DC. Do you need to Get your FBI Background Check Apostille for use in Korea? One Day Apostille . provides expedited Korea Apostille Service for FBI Background Check from the US Department of State in Washington DC. One Day Apostille , will get your FBI Background Check Apostille Korea from the US Department of State in Washington DC. One Day Apostille , will get the Apostille for your FBI Background Check from the US Department of State in Washington DC. 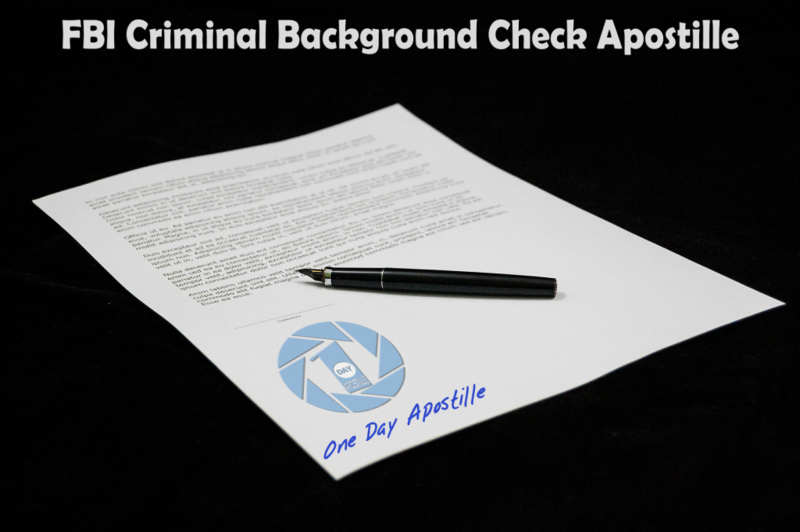 Apostille Criminal Background Check is a required certificate to use an FBI Background Check in any of the Hague Apostille Convention Countries. you may obtain an FBI Apostille Background Check from the US Department of State in Washington DC. However, you will need to learn how to get your FBI Background Check first from the Federal Bureau of Investigation. And One Day Apostille is here to help you with that. Contact an FBI Approved Channeler and order your Background Check. Receive your FBI Background Check result from the Channeler. 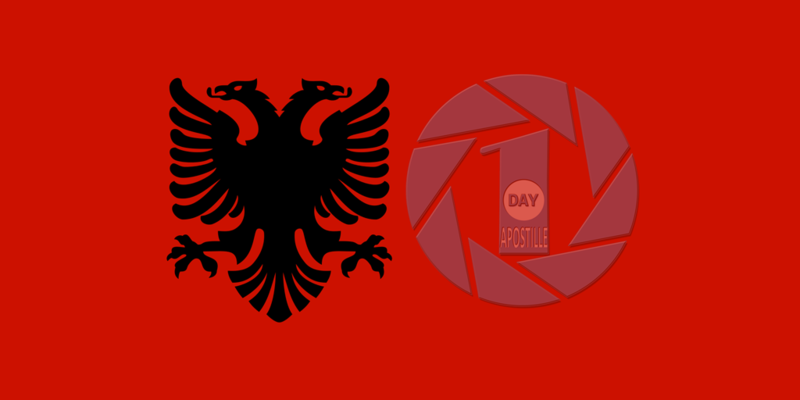 Send your result to One Day Apostille to get your FBI apostille Background Check. The Federal Bureau of Investigation FBI has assigned 13 private agency to process the FBI Background Check on behalf of its customers to save a lot of valuable time as the FBI used to process FBI Background Check in more than 3- 6 weeks. The FBI Approved channelers have shortened the process to take only 3-5 business days depending on the channeler. You may visit www.fbiexpress.com to see prices and turnaround time of the FBI Approved Channelers.